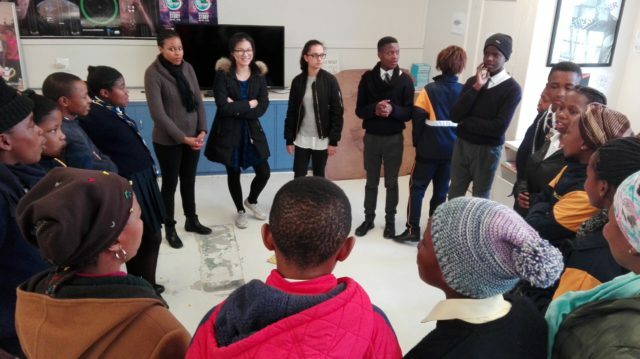 Unlike the education system in Hong Kong and England, where many students focus solely on achieving well in their exams, my internship with PASCAP Trust has enabled me to realise how education carries a whole new significance in South Africa. Here, education provides the youth with the opportunity to fend for themselves, to understand their rights and worth and to provide them with a voice to express their pains, something which serves as a cathartic mechanism to reconcile the past with their present. More importantly, however education here allows the youth to overcome and defeat the racist repression that black Africans were subjected to during apartheid. PASCAP’s values aim to provide these opportunities in which they cultivate the best academic and practical skills in today’s youths, equipping them with progressive qualities which will sustain them for the years to come. From its Big History Programme which teaches its youths to understand the importance of science in society, to soap making and arts and crafts to encourage talent, much thought has been put to make these sessions as fun and useful to the youths as possible. Indeed, PASCAP has benefitted me too, aside from being thoroughly enjoyable to work with, it has enabled me to organise and lead different programmes at schools like leadership and cooking, as well as understand the workings and processes involved in after-school care. Thus PASCAP has provided me with leadership capital, as well as first-hand experience in teaching in a classroom and gaining knowledge of how the organisation is run. PASCAP is an essential asset to today’s society; constructing a powerful community of learners, workers and interns, it helps build a better future for us all.